Interested in joining the Board or becoming a Programme Director? PWI Brussels offers a warm and safe environment to its members, and can be a great way to make new friends. 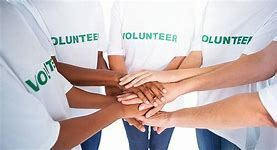 Volunteering for an association will expand your hard and soft skills and enrich your personal and professional life. Current vacancies are advertised on our Volunteer Opportunities, see page below. Please contact the relevant Board, the Executive Committee member or Programme Director and start the conversation to get involved. Click here to download our volunteer brochure: Become a Proud PWI Brussels Volunteer!, or here to get in touch. Please note that we ask all volunteers to join as members and sign a contract to confirm that you agree to work for the association in an unpaid capacity, although we may reimburse certain expenses if pre-approved by the Treasurer.